This is a unique and well-researched book for understanding the development of early naval aviation and the emerging role of naval air power as seen through the creation and evolution of the organization and doctrine of the Royal Navy Air Service (RNAS) and the Imperial German Naval Air Service (IGNAS). While both shared common problems because of the rapid expansion of naval aviation and the accelerated pace of aircraft technology and performance over the course of the Great War, Dennis Haslop’s comparative study succeeds in offering new insights in how each service responded to the challenges of developing the multi-faceted role of naval air power within their respective political, military, industrial and technological culture and context. His chronological approach explains the similarities and differences in organization and doctrine and the role of external political factors and inter- and intra-service rivalries. The first two chapters begin with an overview of the pre-war development of British and German aviation through the end of 1915 including the creation of a separate RNAS in July 1914 from the Naval Wing of the Royal Flying Corps in April 1912 and the formation of the IGNAS in May 1913. Chapters Three and Four detail the further development and challenges from 1916 to the end of the war faced by the British, both internally and externally, and internally for the Germans. The concluding chapter provides a thematic review of the major events and his conclusions to the key issues he raises, summarizing how each service responded, organizationally and in doctrine, to the changing strategic and operational requirements of the naval war and the on-going transformation of the technological environment. Although Haslop notes that his focus on early organization and naval aviation doctrine limited aspects of the two naval services that he could not address in detail (e.g. the British and German airship divisions, the Imperial Navy’s Marinekorpsdivision in Flanders), he offers an essential contribution to understanding the importance of naval aviation to the war at sea in 1914-1918 demonstrating “the beginnings of what naval power meant, though in November 1918, it was still in its infancy” (183). Combined with his extensive knowledge of existing historiography and archival research, Haslop details how the two services shaped and employed their principal and operational doctrine and their integration with other naval surface, air (airships) and underwater assets (and army, including the first combined operations). 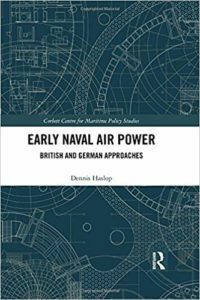 This book compliments the rich literature of the British history of naval aviation and provides a more complete analysis of the development of early German naval aviation than the few existing brief accounts of this long-neglected subject (e.g. Jörg Duppler’s 1988 popular anthology, Marineflieger. 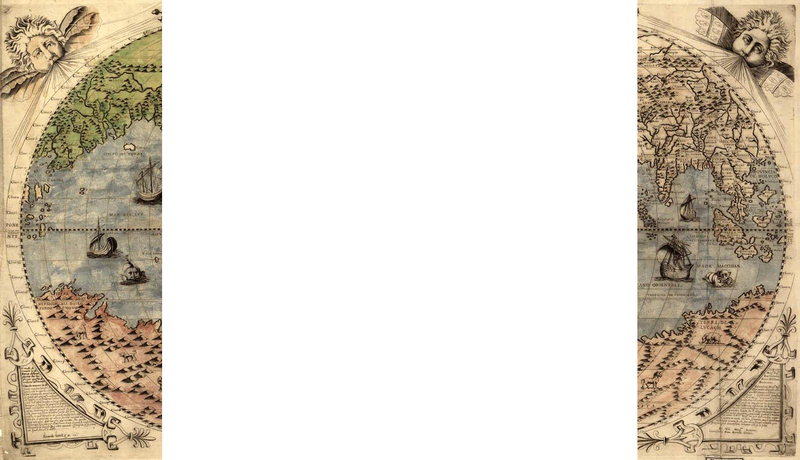 Von der Marineluftschiffabteilung zur Marinefliegerdivision). His bibliography is invaluable, especially his use of the German documentary sources available for future studies (despite losses of the Luftwaffe records where only 11,000 volumes of some 150,000 volumes from World War I survived destruction in the Second World War). In addition to his use of contemporary sources, he compliments the existing standard scholarly works of the role of aviation in 1914-1918 in English and Germany including John H. Morrow’s 1993 comprehensive evaluation of aviation from its beginning to its evolution during the war and his study of 1982 German Air Power in World War I and R. D. Layman’s well-researched 2002 Naval Aviation in the First World War: Its Impact and Influence. Haslop offers new perspectives into the merger of the RNAS in the RAF in April 1918 and the importance of the lessons learned (e.g. anti-U-boat operations and offensive air attack operations) that the 1937 Naval Air Branch under Admiralty control would use so effectively in the Second World War. In contrast, the German Navy after 1918, despite its wartime achievements, was unable to continue its progress given the restrictions on developing military aircraft, its focus on rebuilding its battlefleet and, above all, the creation of the independent Luftwaffe under the powerful Nazi leader, Hermann Göring, that prevented the Navy from having its own air service. In addition to those interested in military history and the role of naval aviation in World I, this book will be of significant interest to scholars and students of air power, naval power and strategic studies.